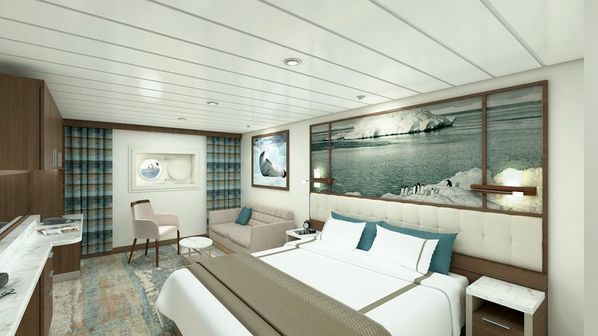 The largest of all the rooms, the Greg Mortimer's singular Captain's Suite will take you to the polar regions in ultimate style and comfort. Complete with large lounge area, balcony, walk-in wardrobe and en-suite, you'll need to get in early to secure this suite. The Greg Mortimer's four Junior Suites take in some impressive scenery from their vantage points on Deck 7. 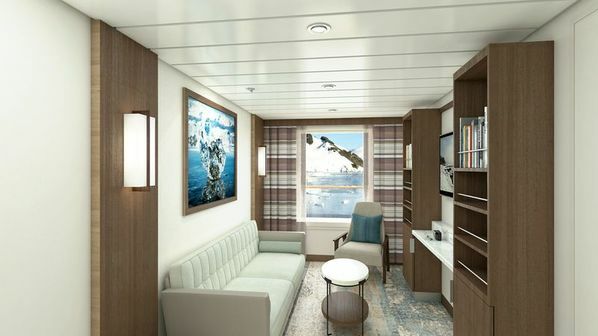 When you aren't enjoying a landing, you can relax in the suites' separate lounge area, or just watch the world float by from the private balcony. 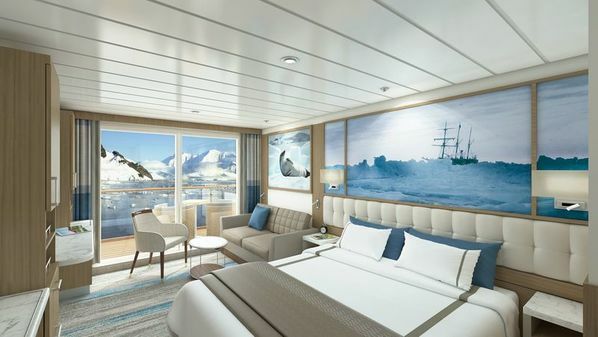 With a bit more room to stretch the legs, the Greg Mortimer's two Balcony Suites are perfect for polar adventurers who travel with plenty of gear. Featuring private balconies, en-suite bathrooms and a comfortable desk area. 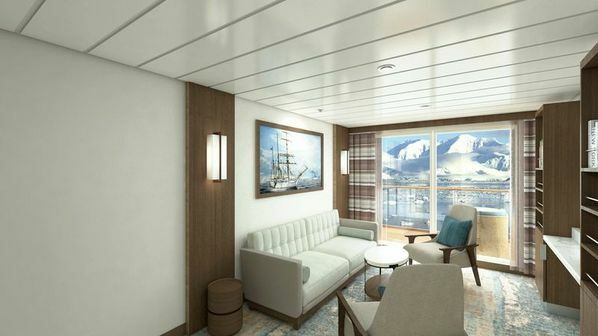 With 58 rooms available, the Greg Mortimer's Balcony Staterooms are the most abundant cabin category on board. All include en-suite bathrooms, floor to ceiling windows and balconies and a select number are also connecting rooms, perfect for families or groups. 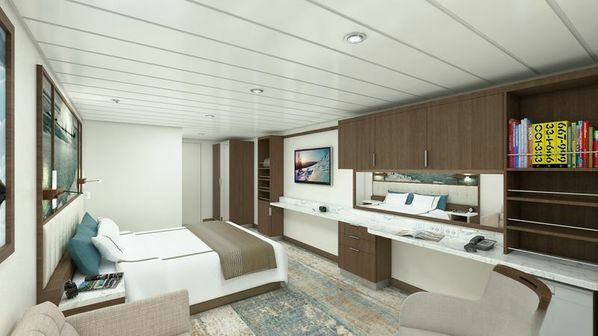 ​Greg Mortimer features 15 porthole rooms, all with private en-suites. Located on Deck 3, they're close to the mudroom and loading platforms, perfect for adventurers who are looking for a comfortable base.